Who else has that one fruit that they absolutely LOVE? Like when you go to the store and see it on sale, you do a little happy dance (and get the weirdest stares)? For me, that’s strawberries. They’re A-MA-ZING! So, naturally, I love making all sorts of recipes using these sweet-and-tangy berries, like this Simple Strawberry Vinaigrette! 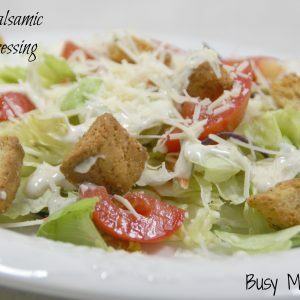 I’ve always been picky with salads, and can only enjoy ones that are fresh, and topped with flavorful dressing. 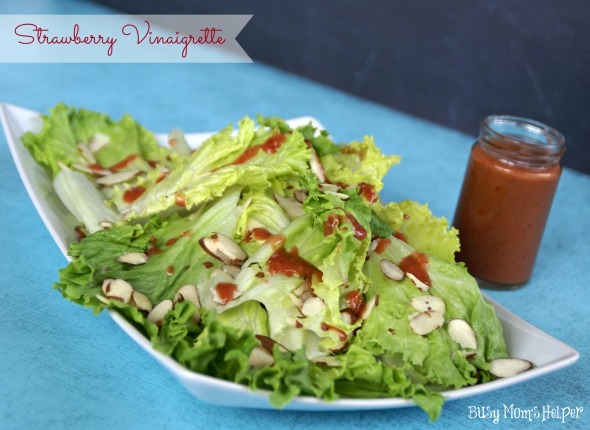 This Simple Strawberry Vinaigrette does NOT disappoint! It’s chuck full of strawberry goodness, with a hint of balsamic vinegar. Mix it with some crisp greens, maybe a handful of almonds, and you’ve got a totally satisfying salad on your hands! Slice the green tops off the strawberries, and wash well. ENJOY! Be sure to store leftovers in the fridge. 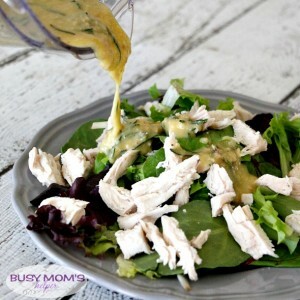 Note: I’ve done some where I included almonds in the vinaigrette, just blending it with everything – also delish! Don’t make too much at once, because it doesn’t store for very long. Besides, the flavor is best fresh! I try to just make it as I go…but you could do it a day or so ahead and be fine. I haven’t tried freezing it, yet, but that could work. If you give it a try, please let us know how it worked out! *We received free product from LorAnn Oils to use. All thoughts and opinions are my own. Please see my Disclosure Policy for more information. We’re back with our BONUS RECIPE today, sharing more fun creations going above and beyond vanilla extract. Thanks to LorAnn Oils, we can make this Easy Pomegranate Vinaigrette without having to worry about those pesky seeds! I love pomegranates, like a LOT! I absolutely dread having to dig the fruit out of it’s shell, though. Not only that, but the seeds inside Every. Single. Kernal makes it nearly impossible to use it in recipes. Unless you want a crunchy smoothie or something. Not my preference, so I don’t. If you missed my post earlier today, I shared a delish recipe with my first two choices of LorAnn’s Oils & Flavors: Marshmallow, and Princess Cookie & Cake. 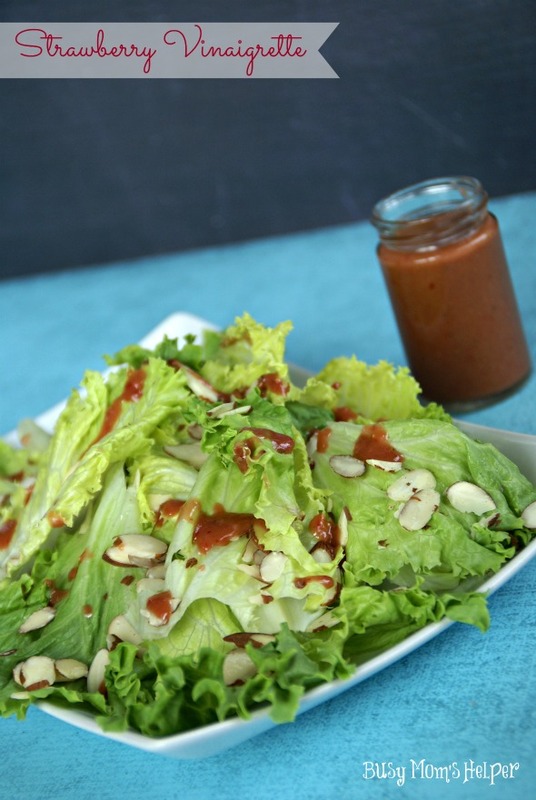 I’m so glad that I selected LorAnn’s Pomegranate Flavoring for my third option so I could finally enjoy a Pomegranate Vinaigrette on my salads! 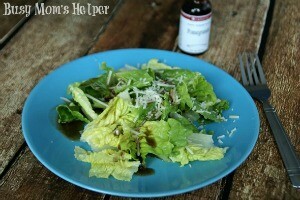 I’ve really enjoyed making other fruit vinaigrette dressing before, but it’s usually Strawberry or Raspberry. Something with minuscule seeds you can easily blend up. I do enjoy how creamy they are. This Pomegranate Vinaigrette isn’t a thick type of creamy, but the flavor is so smooth and delicious! 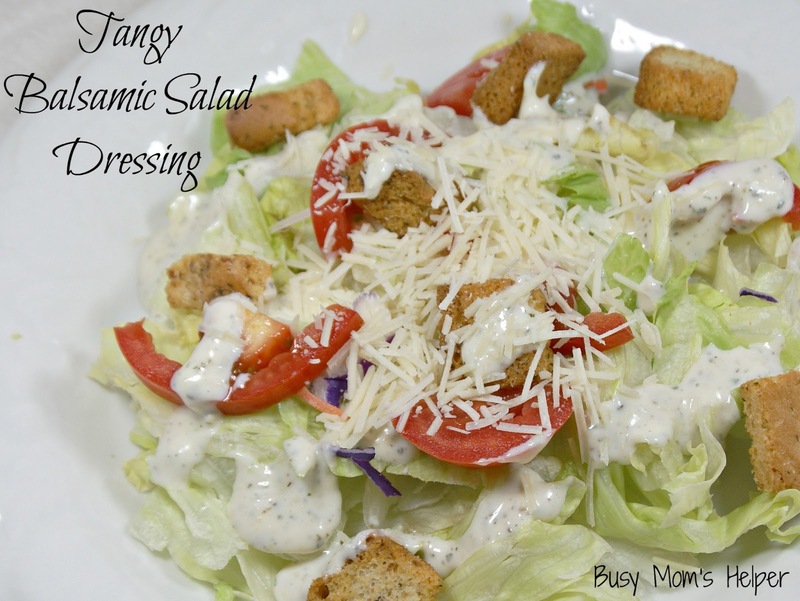 It can be mixed with a variety of your favorite salad toppings, too, so the versatility of it is a major bonus. Whisk all ingredients together well. Enjoy over salads with desired toppings! I love Caprese. Caprese appetizers, soups, sandwiches, salads….anything. It’s just such a FRESH and crisp flavor! I’ve been trying to eat healthier lately, so I’m trying to have a salad for (or with) lunch every day. To stick to this, I have to make sure my salad’s are fun, delicious and QUICK. One of my favs is this Caprese Salad, and it’s definitely easy to make, yet full of flavor! With or without the balsamic drizzle, it’s a winner! See, it’s just so PRETTY!!! Chop the greens of your choice (don’t you hate trying to eat a salad with huge leaves? I do!). Toss in the sliced tomatoes and mozzarella cubes. Sprinkle with a bit of basil, then drizzle with a combo of balsamic vinegar and olive oil. I usually mix my balsamic and oil together THEN drizzle, but it works either way. Enjoy your tasty and healthy salad! Note: I try to find a nice, soft Mozzarella, as it tends to taste the best with this. So I must confess, originally I was trying to do a copy-cat Olive Garden dressing because I was really craving Olive Garden. It’s one of my (many) favorite restaurants, yet we’re trying very hard to not eat out so we have more to spend on our home that’s being built. It would be much easier if I had a decent sized kitchen so I can actually COOK whatever we wanted. Oh well, it’ll be worth it, right? Right! Anywho….so I was trying to do that recipe, when I realized some of the things I definitely needed, I didn’t have on hand. After deciding I was much too lazy to get out of my pj pants (at about 5pm, by the way) to run to the store, I decided to see what I did have on hand that would make a delicious salad dressing. 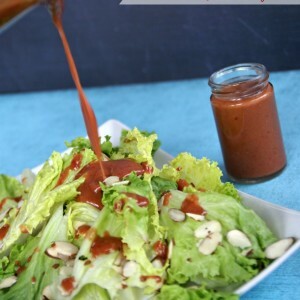 When I pulled out the balsamic vinegar, I had a ‘lightbulb’ moment and immediately set to making a Tangy Balsamic Salad Dressing. It turned out great, and helped me avoid my urge to eat out – bonus!!! Add all ingredients to a blender, blend until smooth and creamy. 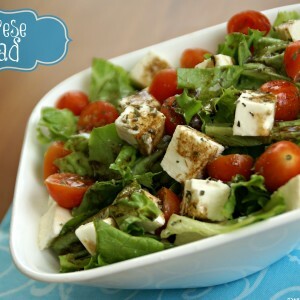 Toss in a salad with fresh greens, tomatoes, croutons and other toppings as desired. Sprinkle a little Parmesan or Romano cheese on top. Do you like chicken salad sandwiches? I do! They’re just so….versatile? Is that a good word for them? 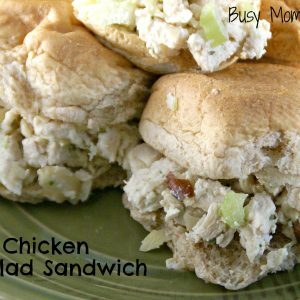 I think so, let’s stick with that…..Chicken Salad Sandwiches are versatile! I mean, you can just change one little ingredient…..take something out, throw something in….and it’s a whole new experience of taste. Perfect for trying to add variety to sack lunches (or lunches here at home). Another reason I love them is that you can just cook and shred/cube a whole bunch of chicken at once, then during the week make a variety of meals. Perfect for us busy women! Combine everything (except the roll/baguette and lettuce) together in a bowl. Scoop onto your choice of roll or baguette. Top with lettuce, cut in half, and enjoy!